As we go through the day our blood pressure just naturally raises and lowers depending on a lot of conditions. Drugstore machines that require you to sit in a chair and put your arm through a cuff are notorious for being poorly calibrated and fairly inaccurate. These measurements should never be used as an indication that something is wrong, or as reassurance that everything is OK.
Changes in blood pressure reflect the body ability to adapt. An increase in blood pressure can be a normal part of daily physiology. Blood pressure can go up in a split second depending on situation. Mere laughter can raise systolic blood pressure even as high as 15 points in people with otherwise normal blood pressure. Talking does the same thing. Now you know why you should not talk or laugh when testing for blood pressure. You may get a false high blood pressure reading. But what if you constantly have a low reading? Changes of 25 to 30% during the day are not abnormal — they reflect the fact the body is a dynamic, changeable organism. Many normal things can have large effects on blood pressure. Walking 20 feet can raise systolic blood pressure by 10 to 15 points. Your stress level, how tight your shoelaces are, what you had for breakfast, and how well you slept last night can all change your blood pressure, too. Sleep causes a fall in blood pressure. The maximum depth occurs about two hours after falling asleep. In sound, untroubled slumber a pressure of 130/80 might dip to 100/70. It once was thought that this drop in pressure was the cause of sleep, the reasoning being that a lower pressure delivers less blood to the brain resulting in mental sluggishness and hence sleep. Now it is known that this blood pressure decline is the result, not the cause, of sleep. As morning approaches, the blood pressure drifts slowly upward as the subject begins the awakening process. Any interference with sound sleep causes the blood pressure to rise. Interestingly enough, dreaming about exercise may evoke a blood pressure response similar to that which would be observed if the individual actually were exercising. A good example is that of a person dreaming he is climbing the Washington Monument. Although sound asleep and involved in no physical activity, except perhaps for involuntary muscular twitches, blood pressure approaches levels that would be “read” if he actually were climbing the monument. Although in deep sleep with a pressure o£ 100/70, the intrusion of a physically active dream raises the pressure to 180/100, when in real life climbing the monument might bring the reading to 200/104. The old teaching was that a dream is completed in a split second, that an event in reality requiring half an hour can be compressed in a dream into a fraction of a second. Doctors recently have discovered that this is erroneous. A dream takes about as long to accomplish as the actual physical act would require. A dream involving prolonged exercise or prolonged anxiety has a prolonged effect on blood pressure. The clinical importance of this observation is only lately being appreciated. If a patient has a known illness or has an incipient illness which is not recognized because he feels well and has not had a physical examination recently, this may explode into a full-blown setback during the blood pressure elevation of a dream. One hears of patients who die in their sleep, or who develop a coronary, stroke, acute breathlessness, or palpitations while sleeping. In the latter group, the patient may be able to tell of an “active” dream, which produced high blood pressure long enough to cause trouble. By affording relaxation and release from tension, physical fitness may decrease the tendency to “active” dreams and promote greater elasticity of the arteries-or at least retard the inevitable “hardening of the arteries” which happens to almost everyone. There is less need to dream about physical exercise for those who are able to achieve this satisfaction while awake. For fifteen to forty-five minutes following a meal, blood pressure normally rises. This response is temporary. A pressure of 130/80 may climb 10 to 30 mm. of mercury by virtue of a full stomach. Nationality makes a difference, too. Chinese, for example, are hypertensive at 125/70, while North Americans can get by at 140/90. The British have significantly higher readings than Egyptians. People in hot climates average lower pressures than inhabitants of cooler locales. In temperate zones where temperature fluctuates, blood pressures are lower in summer and higher in winter. Moving from one climate to another has an effect. If an Egyptian moves to Britain, his blood pressure rises, but not to the same level as the average Briton. And if a Londoner moves to Cairo, his pressure falls, but it still is slightly higher than that of the average Egyptian. Blood pressure is widest when observed in the reclining subject. It closes slightly on sitting, and is narrowest when standing. A pressure of 130/70 while lying down might become 120/80 on standing. This change varies greatly from person to person and is most exaggerated in obese persons. During urination, the blood pressure then precipitously drops back to 130/80. People whose bladders are never quite empty may carry a pressure which is slightly higher. After treatment and with the resumption o£ complete bladder emptying the pressure falls to normal levels. Sitting on a full bladder is not only uncomfortable but bad for the blood pressure. don, as we age blood pressure tends to be more of a problem. you might just need an adjustment on your bp med. or a test to make sure everything else is ok (thyroid, magnesium, etc).Talk to your doc about that. Personally I have found Schiff Vitamin C 1000mg taken before bed has dropped my bp by 20 points. That’s significant. But my case my be different than yours. been on medication for b/p 6yrs always had a good readings less exercise in winter , i play golf, my readings to day are high its bothering me, what can cause that, i do walk every day. marlene. Of course stress can make it go up. Just worrying about your bp can make it go up. To some extent it’s ok but these ups and downs are not good. A beta blocker may help remove that up/down rollercoaster. Have you tried a long acting beta blocker such as Toprol XL? Don’t use the offbrand generic, no good. Talk to your cardiologist about trying toprol XL and see if that’s right for you. joe.. it’s dangerous to say it that way if someone were to take it literally. My point above was “don’t panic about it”. ***IF*** your reading is like 170/95 or higher for several days.. then you should probably talk to the doctor to see what can be done with lifestyle changes or medication (if the former doesn’t work). But don’t just ignore it. There’s no need to fear blood pressure. Unless one has overdosed on cocaine or has a pheocrytoma [sp], you’re not just going to keel over and die overnight. High blood pressure takes time (months, years) to damage the kidneys, arteries, brain, etc. Reduce stress, walk more, stop smoking, reduce salt and fat.. etc. Now My Bp Pressure Reads As Of Today Between 135/80 to 124/77, My Dr. Says That I’m Ok, My Bp Reading Is Normal, But I Still Get A Little Worried On My Bp Readings. Is There Anybody Out There Taking Spironolactone, & If So How Well Is It Working For You??? My Dr. Also Said That Spironolactone Is Also A Beta-Blocker, & A Better Medication To Take For A Transsexual Woman Over All. Anyways Please Comment Me Back I Would Love To Hear From Other People Who Are Taking Spironolactone. Also I Try To Keep My Sodium Intake As Low As I Can, I Try To Stick With Sea Salt. healthy calorie equation and exercise are the key. Lisa, yes it is normal for your blood pressure to go up when you walk. You should be sitting, relaxed for at least 5 minutes, at least 30 minutes after eating, smoking, etc. before you check your blood pressure. 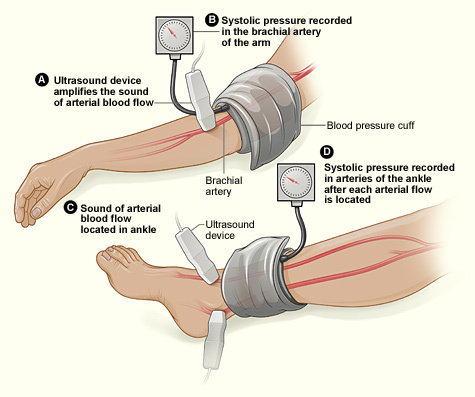 Also many electric blood pressure machines are innacurate, especially the cheap ones. Your blood pressure can go as high as 200/95 when walking and most healthy people do get that high. Within 30 minutes it should be mostly back down to normal although it can remain elevated for awhile. It sounds like you are just deconditioned. Yes the sinus pressure can cause that. I have been down this road before with MRIs, CTs, echos, holters, etc. If your BP is normal most of the time then FORGET IT! Just exercise as much as you can and eat healthy. Be well. Wow Daniellle! Have you discussed this with your doctor?? Do you notice if your heart rate is faster along with your BP rising?? I have had on and off headaches for a couple months now, and a high blood pressure. I have also had rapid heart rate on and off. My doctor prescribed me toprol (a mild dose) and so far the rapid heart rate seems to be under control. However, when I walk from my house to my care (approx 100 feet) my blood pressure rises to about 150/90 and I am a little short of breath. My activity level has been almost non existent due to a back injury that causes me chronic pain down my legs and all over pain from fibromyalgia. Does anyone know if it is normal to go from 128/77 to 150/90 after walking approx 100 feet? I do feel pressure in my head but I also had an MRI on my head and there was thickening in my sinus cavities. Could the sinus problems actually be the pressure I am feeling when rising from a sitting position etc?? I think you have anxiety going on. I would recommend Fish Oil suppliment as it worked miracles for my situation. I also take Magnesium Suppliment and have changed to a Raw Diet with very minimal meat. Mainly Chicken Breast and Fish. Hope that helps! I am 49 year old female. I have hight blood pressure and I cannot sleep. I am on 2 medications but when I go to bed I wake up in the middle of the night with a splitting headache and my blood pressure in the 200’s. It stays up for a little while then in goes back down sometimes as low as the 140’s. I don’t know why I am spiking and it goes up in my sleep. I’m now 47, always seem to have issues with my blood presure since I was in my tweenties, ranging 140/90 well at doctors office anyway. I had brought a BP machine many years ago. For the most part I would check my BP time to time ,more when I know it was higher then desireed. It seems during the day its 140/90, when Im home it back to 125/83 they said (friends) that the spikes will give me a stroke, can that be. Is your Bp always same all day. Can it go up & down during the day. Tom, read the rest of this site to understand how BP fluctuates normally during the day. “Spikes” that put you at risk for stroke are way above any of the numbers that you mention. A _resting_ BP above 180/120 is called a hypertensive crisis and should be treated as an emergency situation. Many people go into this range and above when active (running, exercise, climbing stairs) and it not a cause for concern in itself. @Kristina: I went through the same problem. After being in TOP shape for my age of 32, being an exercise freak, my BP was normally 90/60. When I ate food, had a full bladder or panicked or went to the doctor (I had a bp phobia), it would shoot up to 190/105. Sometimes it would stay there for 3 hours because I was panicking about it. Then it would go right back down to normal. Each time, the ER would take me in, scare the crap out of me literally, then send me home, with $2000 less than I had when I went in. Each time with no explanation other than “anxiety”. OF COURSE one is going to have anxiety when the triage nurse or doctor says “OMG it is going UP, lets get you back there”. THen they kick me out. You want my opinion? IT IS A SCAM! A RACKET! Drug companies, doctors, etc. the heck with them all. I check my BP at home and I am always, always under 125/75. I order my own blood tests at home too. When something is really wrong, then I go to the doctor. Otherwise they can stick it. I’ve noticed that some Dr’s want your blood pressure to remain under 120/80 all the time. I get really really nervous when I got to the Dr and mine is always 150/100. But on an average day when I take it it’s like 100/68 110/74 etc. Why do Dr’s expect you to have blood pressure in the normal range when you are nervous or excited or stressed?? It doesn’t make sense. I think people are over medicated because of this. I was put on medication for hypertension when I was 20 because when I went to the Dr my bp was 140/90. Now because I’ve been told my blood pressure is high I freak out everytime they put that stupid cuff on my arm and guess what?? It reads high..
I’m 73 and have had relatively normal blood preasure all my life (134/78). Then at 71, I started having an ocational double heart beat. My doctor diagnosed it to be a second pathway that opened up and is of little consequence – but could be zapped to stop it if desired. I left it alone. After about a year at 72, I began to notice my blood preasure rise after exersise (I exersise 3 times a week). Within 9 months I noticed my blood preasure, even when hot exersising, climed up to 198/116, and I had sweeling ankles. My doctor put me on a double pill that was supposed to lower BP and remove water. The water was removed ok, but my BP only dropped to 175/95 on average. I went back to my heart doctor and he said the rise was due to age, and gave me a second very tiny pill that after taking it only two days lowered my BP to 127/72 on average and it has remained there. My question is, why after all those years did my BP shoot up within 9 months? I’m not under stress, and my eating habits have not changed. I’m exersising a little less, however. Sometimes, my BP rises to about 150/90 whereas in some cases it drops to 120/80. However, mostly it remains 130/80. I am of 42 years of age and having a smart physique. My BP runs a little high, 140/90 even when I am in excellent physical condition. But I notice it drops to as low as 90/60 when I sleep, or perhaps lower as I am no longer asleep while I take the reading. I often awake in pain, a whole body ache, especially in my hands and feet. But I can shake it off after a few minuites of walking around. I often do not have restorative sleeps. Do you think this is an issue?